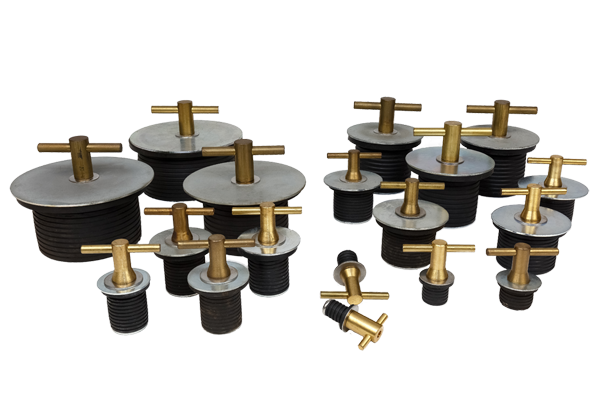 Low pressure expansion pipe plugs available in a variety of styles including Turn-Tite, Snap-Tite, Hex- Nut and Thumb-Nut pipe Plugs. These plugs provide a quick and easy air tight seal for little to no pressure applications. Available for 3/8” – 4” sizes. (Hex Nut and Thumb Nut styles not pictured.) 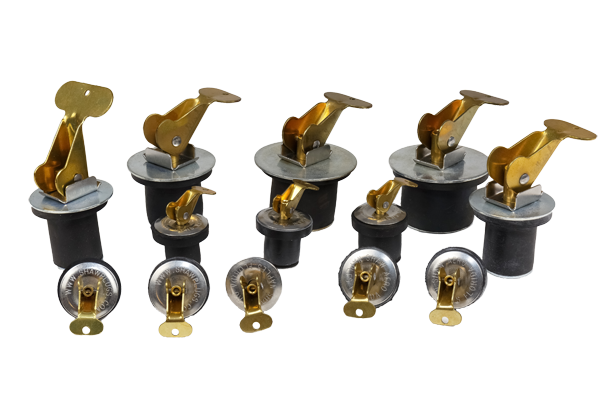 Neoprene rubber plug with brass handles and zinc plated steel hardware.